All of us want to do our part — especially during the holiday season — to help others who are having a hard time putting food on the table. But many times, we aren’t as informed as we should be about how to do this. 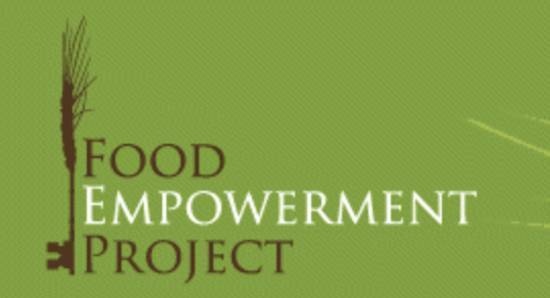 Food Empowerment Project, a vegan food justice nonprofit, has created this document to help emphasize the true value of donating food. While giving to a food bank is sure to make you feel good, that’s nothing compared with how families in need will benefit from your generosity. 1. Check with the local food bank to find out generally who uses the food banks. In San José, we found that many participants in our focus groups did not rely on food stamps (SNAP), but they did rely on the local food bank for assistance. 2. Find out if the food bank has refrigeration; while fresh is best, most places cannot store perishable food items. It is likely that most distribution centers will be located in churches or school cafeterias that may not have access to a refrigerator or freezer. 3. Find out if they take glass jars in addition to cans. Glass can break, so most food banks prefer not to receive items that come in glass jars; therefore, be sure to check first. *Food Empowerment Project encourages people to not buy products that contain palm oil due to human and non-human animal devastation that is taking place. For more details, visit Ethical Food Choices. Thanks to Erlinda Yanez for her expertise in helping us create this document.